Perry R. Goodman is a partner in the Fort Lauderdale office of Lewis Brisbois and a member of the Insurance Coverage Practice. He has more than 10 years of experience advising national and regional insurance companies in complex first-party and third-party coverage matters. He has handled matters concerning a wide range of insurance policies, including issues related to commercial general liability, residential and commercial property, directors and officers liability, automobile, and liquor liability coverage. Mr. Goodman counsels his clients in all levels of pre-suit analysis, civil litigation, and alternative dispute resolution. He regularly performs in-depth analyses of contractual and insurance issues; drafts coverage opinions, reservation of rights letters, and coverage denials; prepares responses to civil remedy notices; and conducts depositions and examinations under oath. In addition to his work in the field of insurance coverage and bad faith, Mr. Goodman handles commercial litigation and transactional matters for his clients. He has appeared in federal, state, and appellate courts, as well as in bankruptcy court. 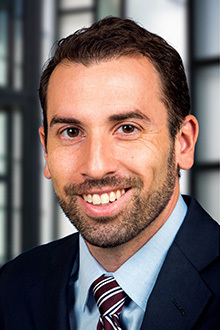 A New York native, Mr. Goodman moved to Florida in 2007 after practicing at a Connecticut-based litigation firm. He is fluent in French and regularly represents French-speaking clients.